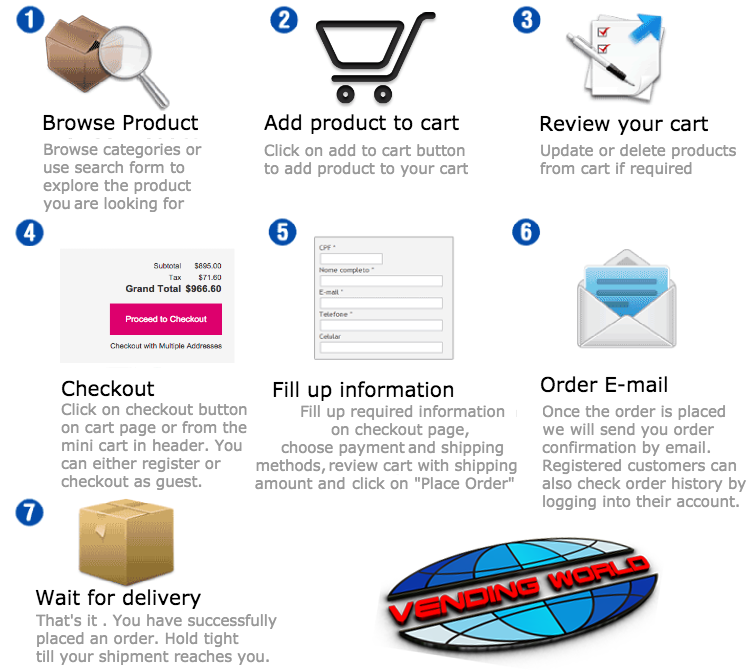 Shopping with Vending World is easy and hassle free. The following picture depicts the steps involved in placing a successful order. Security: Sensitive information such as account information and payment information is transmitted over SSL.
. Shipping: Fast USPS Shipping on all parts, Freightquote.com shipping on vending machines. If you are having trouble in placing order click here to contact us.